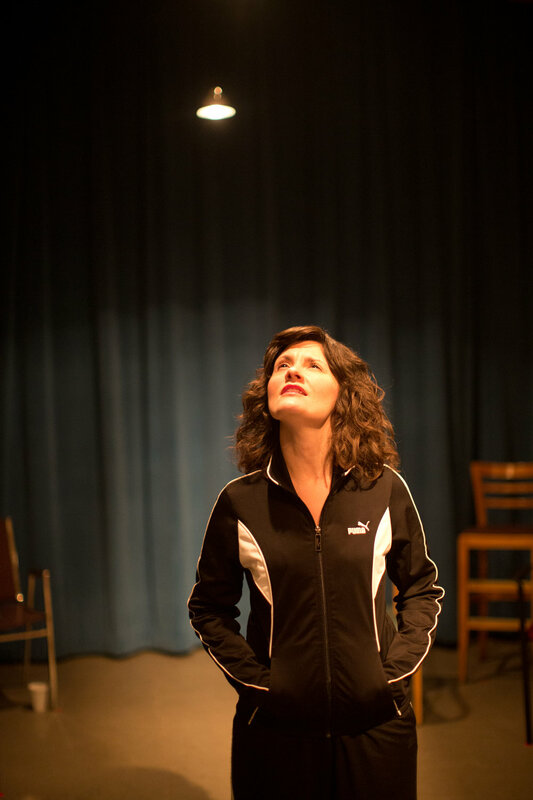 Sara Marsh has appeared in productions, workshops, and readings on stages across the Twin Cities. She was most recently seen as Caroline Bryant in the world premiere of benevolence (opposite Peter Christian Hansen), the second installment of the Emmett Till trilogy by Ifa Bayeza at Penumbra Theatre Company, and at Dark & Stormy Productions as Una in Blackbird (opposite Luverne Seifert) and Jessie in 'Night, Mother (opposite Sally Wingert as Thelma). Currently, Marsh is a regular on the award-winning web series Theater People, streaming on Seeka TV. Upcoming: the area premiere of Dry Powder at Dark & Stormy Productions June 6 — 29, 2019 (click here for tickets). "The actors are all excellent, but I have to single out, for especial praise, Sara Marsh. Marsh plays Miss Cutts, sexpot...Obsessed with her womanliness ('Do you think I'm feminine?') she slinks and sashays and slithers through the Atrium, driving everyone crazy." - Review of The Hothouse, John Olive, How Was The Show? Photo credits: Heidi Bohnenkamp (Extremities, The Hothouse, The Drunken City); Melissa Hesse (The Norwegians, And So It Goes, Sunshine); John Eastman (Speed-the-Plow); Hilary Roberts (Bad Dates); Rich Ryan (Fool For Love, The Maids, ‘Night, Mother); Rick Spaulding (Blackbird); Craig VanDerSchaegen (Roller Derby Queen), Allen Weeks (benevolence).